Dame Maggie Smith is a total BADASS! 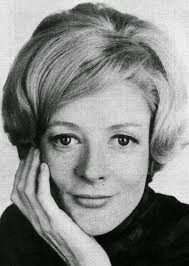 I have loved Maggie Smith for as long as I can remember. She has such excellent comedic timing and poise. She is a great lady and one I have always admired. The first thing I saw her in was one of my all time favorite movies. The Evil Under the Sun. From that time on, everything I saw her in was magical. It did not surprise me at all that she was cast as Professor McGonagall. When reading the books, she is the face I imagined as this powerful and loving professor. One of the things I think makes her so spectacular is that she is so underrated. She will never be the marquee name that brings audiences into the theater but knowing she is in the ensemble cast makes me know that this will be one very good feature. In research for this article I read several biographies, tidbits and quotes of hers. I do not think I will be able to convey how truly awesome she is. I can only hope that I encourage you to check out some of her other works you have not yet seen. She is one of a handful of ladies that have won a Tony, an Emmy and an Oscar. WOWIE! That being said while filming the Harry Potter movies she was diagnosed with breast cancer and had surgery and chemo while she continued filming. WOW how awesome is that? In 2014 she was honored by the Queen of England for her contributions to the theater and cinema. 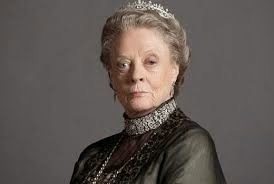 For her many decades of magnificent work, going forward she will be known as Her Ladyship, Dame Maggie Smith. Dame Maggie has been in such beloved pictures as the Harry Potter series, Sister Act, California Suite, Murder By Death and Gosford Park. Most recently she can be seen in playing Muriel Donnely in The Second Best Exotic Marigold Hotel in the theater and the Dowager Countess of Grantham on Downton Abbey. She brings most of the stellar lines and definitely the best expressions to this dour series. Her career spans over 50 years and so many beloved movies plays and TV shows. Holy bananas has she has had an amazing career. If you have not seen her stellar performances in so many wonderful movies, please, please, please check her out on Downton. In most recent years she has played more sour types of characters and is known to say: "It's true I don't tolerate fools, but then they don't tolerate me, so I am spiky. Maybe that's why I'm quite good at playing spiky elderly ladies". She has played spiky and lovable in the same sentence for so long. Personally, I think there is no one better than the Dame.